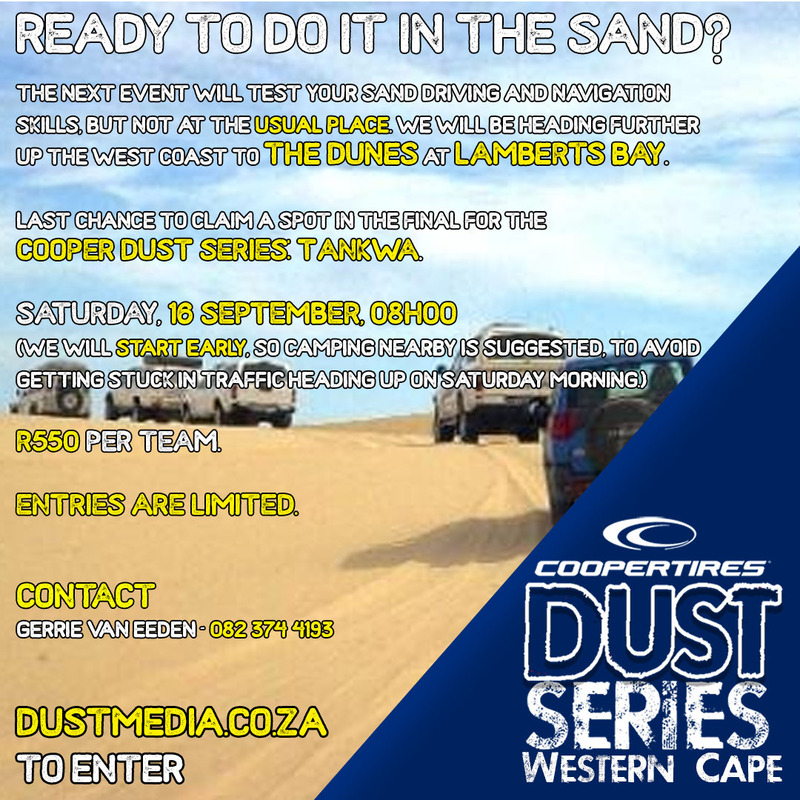 Entries for the third and final Cooper Dust Series event in the Western Cape are open. This event takes place on 16 September at The Dunes near Lamberts Bay. Entries are R550 per team. Teams are encouraged to stay over the night before to ensure that they are on time when the event starts at 08:00.